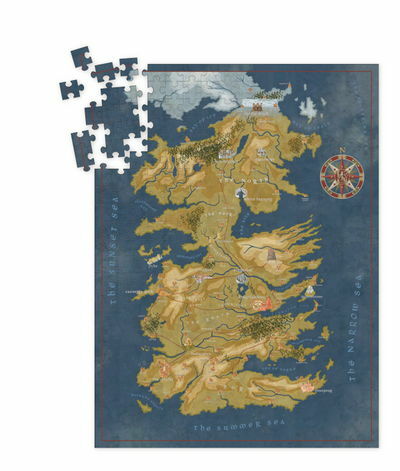 Fans can now piece together their own map of the great land of Westeros with this deluxe 1,000 piece puzzle. The map imagery is taken straight from HBO's Game of Thrones, season 7, to match the map Cersei Lannister has painted in a courtyard of King's Landing. The complete puzzle measures 20'' by 27'' and comes in high-quality full color box.